The Trans-Pacific Partnership (TPP) could help transform Malaysia’s sluggish exports sector, speakers at an event in Kuala Lumpur unanimously agreed. Discussing the various regional and inter-regional initiatives that Malaysia is to become involved in over the next few years (the Asian Infrastructure Investment Bank, the One Belt One Road project base, the Regional Comprehensive Economic Partnership and the Asian Economic Community), Tim Warren, regional head Asia Pacific, credit and political risk at Zurich, said that the TPP was the one that could dominate them all. Warren explained that the agreement would remove existing tariffs among some of Malaysia’s closest trading partners, but said the real benefit could come from the opening up of new markets, particularly those in Latin America. 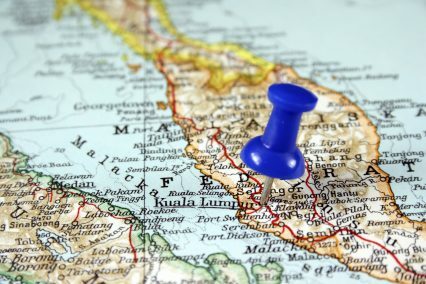 Malaysia has become one of Southeast Asia’s primary hubs for low-cost, high-tech manufacturing. Most of the large Japanese and South Korean electronics providers have production bases in Malaysia, and it’s these sorts of goods that would see a surge in exports to South and Central America, as well as Australia and New Zealand, should the TPP be ratified. The Malaysian Prime Minister was one of the 12 signatories to the TPP’s final text in Atlanta, Georgia a few weeks back, but it is reported that a number of the other participants were not happy with Malaysia’s position on state-owned enterprises (SOEs). Those difficulties were overcome in the end and Malaysia, along with Australia, was successful in lobbying for a carve-out for tobacco in the investor state dispute settlement clause, meaning it will continue to display graphic health warnings on tobacco packaging without fear of litigation from the industry. Rajiv Biswas, Asia Pacific economist at IHS, told GTR on the sidelines of the GTR Malaysia Trade and Export Finance Conference that Malaysia, along with Vietnam, stands to be one of the biggest winners, and that the agreement should not face any difficulty in being ratified in the country. Meanwhile, before his trip to the US was cut short because of the haze crisis choking parts of Indonesia, caused by burning palm oil plantations, President Joko Widodi signalled his intention to lead his country into the TPP. This follows South Korea’s reiteration of its interest in the agreement, having formally requested to join upon completion in July.